Cool LinkedIn Backgrounds – 20+ Free JPEG, PNG Format Download! Are you about to create your professional profile on LinkedIn and looking for a great background? Your LinkedIn profile is going to be your digital representative to your potential employers and hence it’s of utmost importance to appear as classy and elegant as possible with your profile. We are here with our great professional LinkedIn backgrounds that are sure to please both you and your potential bosses. you can also see Cool Kindle Backgrounds. LinkedIn Background looks dry without any background. If you wish to get rid of that boring look, Newton’s Apple LinkedIn background can do the needful for you. Engineers, physicists and science graduates would definitely love this background. Get it right now from right here and increase your chances to get hired. LinkedIn has the potential to take you to the right recruiters or bring you the right employees. Regardless of the objective for which you are on this professional networking site, Malaysia Kualu Lumpur background sounds an impressive idea to grab the attention of people visiting your profile. We have a wide range of LinkedIn backgrounds showing people who have inspired us throughout the years. Be it Steve Jobs or Albert Einstein, they have always continued to motivate us to chase dreams. Have such backgrounds that would keep you ignited with passion always and influence your profile visitors too. Google, Apple and Facebook are some of the huge companies that are housed in Silicon Valley. Having a LinkedIn background with the street sign of Silicon Valley would definitely light a fire under you to pursue your dreams. It would reflect your ambitious personality too and people would look forward to work with you or for you. Digital Tunnel is a brilliantly designed LinkedIn background for professionals. If you are a tech savvy person and you want your LinkedIn profile to depict that, it is an awesome background created with subtle shades of blue, red, yellow, white and black. Download it from here without any further delay. Advanced technology has entered all walks of our life. Beautiful Technology LinkedIn Profile background shows a human brain with satellites in its surrounding. It is an absolutely swanky looking background for your professional profile. You can get it from here and add an element of elegance to your LinkedIn account. Do you love nature? A LinkedIn background with Mount Fuji sounds an excellent choice if you want to keep nature close to you. If your profession is something related to nature and stuff like that, this background can work wonders in your professional life. Give it a try by downloading from here. Beautiful scenery of Blyde River Canyon LinkedIn background makes for a superb LinkedIn background. Anyone who happens to stop by your profile would get the pleasant vibes through the background depicting nature at its best. Download it here and render positive vibes to people connected to you through LinkedIn. Are you love struck? Give your LinkedIn background a mushy appearance through free love backgrounds available over here. Everyone has professional backgrounds and having such an offbeat background works great sometimes. Why not experiment with these backgrounds and give your LinkedIn account a unique look? Download from here and convey your love to that special someone. 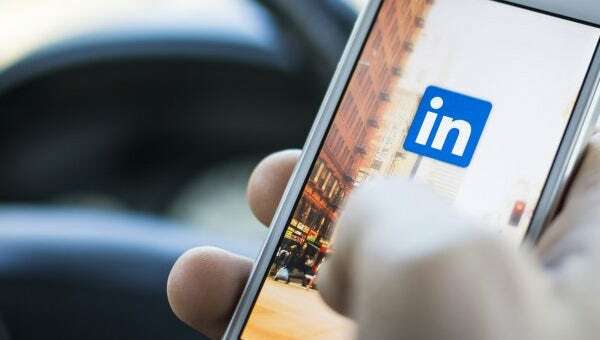 An island with dense palm lagoon in the middle of a sea with crystal clear water seems to be a great background to make your LinkedIn profile a pleasant one. It is sure to soothe the senses of anyone who drops a visit to your profile. Click here to get this enticing background. Our LinkedIn backgrounds cover almost every range of theme and cool background we have got something for everybody. Whether you fancy a natural beauty or bright children or technology backgrounds or a sports theme, we are here to fulfill any interest and mood.